Scooper - Technology News: Is the nuclear security threat growing? Is the nuclear security threat growing? The destructive power in deployed nuclear arsenals remains enormous, while the probability of their use appears less remote. 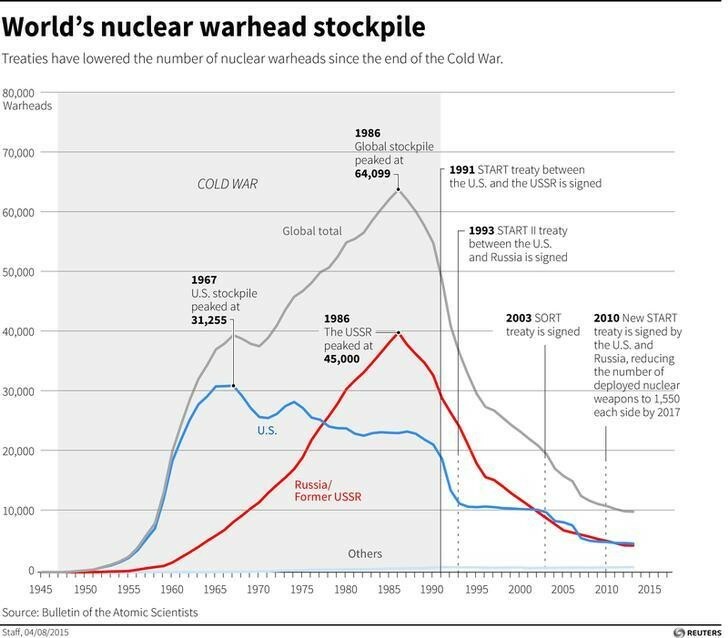 As a result, although the number of nuclear weapons in the world has been declining consistently since the end of the Cold War, nuclear risks are growing. The consequences of use would be devastating to human, environmental and economic security, and the observation by Albert Camus after the Hiroshima bomb exploded - that in the future each day will require a choice between collective suicide and the intelligent use of scientific discovery - remains pertinent. The major powers have a special responsibility to reduce the risks associated with nuclear weapons. Relations between those powers are one of the most important determinants of nuclear security, but key political relationships have deteriorated, and seem unlikely to be repaired soon. Beyond the relations of major powers with each other, their actions continue to be a powerful factor shaping the behaviour of others, but the context has changed. Major powers are less able to enforce their preferences, but multilateral frameworks have not become more efficient, creating a security governance deficit. The five permanent members of the United Nations Security Council are all modernizing their arsenals, and for the first time in five decades there are no current discussions around nuclear arms reductions. Nuclear arms reduction talks originally reflected concern about how quickly the use of nuclear weapons could become a factor in political crises - highlighted in Berlin and Cuba. The political flash-points that could draw states with nuclear weapons into crisis or conflict are once again becoming more dangerous. The United States came close to a military conflict with North Korea in the early 1990s because the introduction of nuclear weapons onto the peninsula was considered to change the correlation of forces in ways that imposed unacceptable risk on South Korea. With the systematic development of long-range ballistic missiles and progress in the North Korean nuclear weapons programme, the situation today is more dangerous. After decades in which mutually agreed political and technical measures made the role of nuclear weapons in European security increasingly marginal, Russia’s foreign minister Igor Ivanov has recently rated the risk of confrontation with the use of nuclear weapons to be higher than it was in the 1980s. Rapid advances in certain fields of non-nuclear technology, and the ways in which these technologies combine, are also posing new challenges, but at present there is no focused international discussion about the impact of new and emerging technologies on nuclear security. Relevant examples include activities in cyberspace, the rapid development in information and communication technologies and the progressive development of accurate, hyper-speed delivery systems. These kinds of technologies undermine some assumptions on which traditional approaches to nuclear deterrence rest, and the quickening pace of change will exert itself more powerfully in the future. Troubling as they are, the risks highlighted above are not the only cause for concern. Recent authoritative reports indicate that quantities of separated plutonium in the world continue to grow, while the long-term reduction in the quantity of highly enriched uranium ended in 2014. The amount of fissionable material that could be used in a nuclear weapon is growing. Terrorists would not hesitate to acquire nuclear weapons, and would not hesitate to use them. The potential exists for collaboration between trans-national criminal and terrorist networks, up to and including traffic in fissionable materials, weapons technologies for nuclear weapons, and the weapons themselves. For an extended period after the end of the Cold War, there was an expectation of continuous reduction in nuclear arsenals and a move towards comprehensive controls on nuclear materials. Those expectations are now unlikely to be met, unless current trends can be reversed. The direct engagement of world leaders remains essential to further progress to deal with already identified sources of risk relating to accountability, storage and transit of fissionable materials. 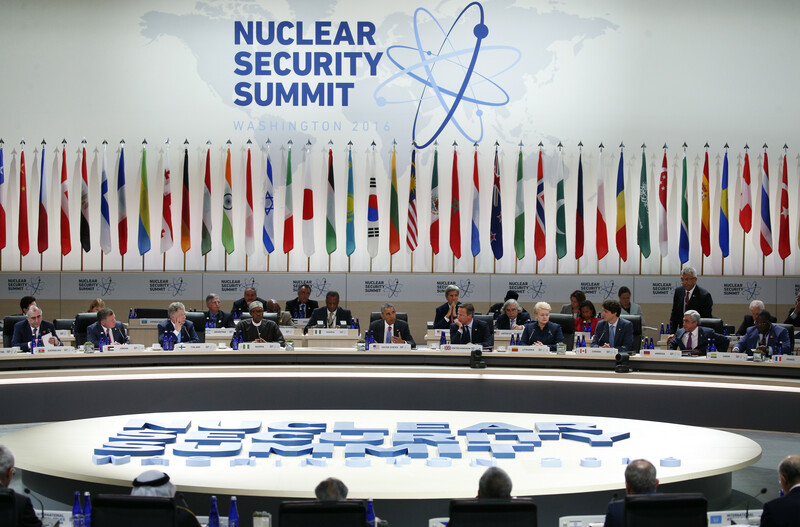 As the recent Nuclear Security Summit in Washington was also the last, nuclear security has now dropped off the collective agenda of world leaders. Meanwhile, arms control does not address nuclear forces in being, or technological trends that can act as accelerators to nuclear crisis. Nuclear security requires continued and intensified attention to the accountability and security of fissionable materials. However, nuclear security is the product of a broader context, which is deteriorating. Political conditions that trigger nuclear war are worsening. New stressors have appeared, including terrorism, cyber-attack, and the political consequences of extreme manifestations of climate change. Preparations for nuclear war are ongoing. The acceptance of nuclear war as a ready instrument of war, rather than a last resort, is re-establishing itself in the doctrinal statements of nuclear powers. The Future of Nuclear Security Report is available here . Have you read? Which countries possess nuclear weapons? Why it’s time to ban the bomb How can we push for tighter nuclear security?